This cocktail hails from one of my favorite Brooklyn bars, and appropriately enough appears in a new cocktail collection called Brooklyn Bartender. I love that this drink not only contains equal parts whiskey & Lillet, but also equal parts of 3 types of bitters. Score! Combine all ingredients except Champagne in a mixing glass with ice. Stir until well chilled and strain into a coupe. Top with Champagne and garnish with a cherry. 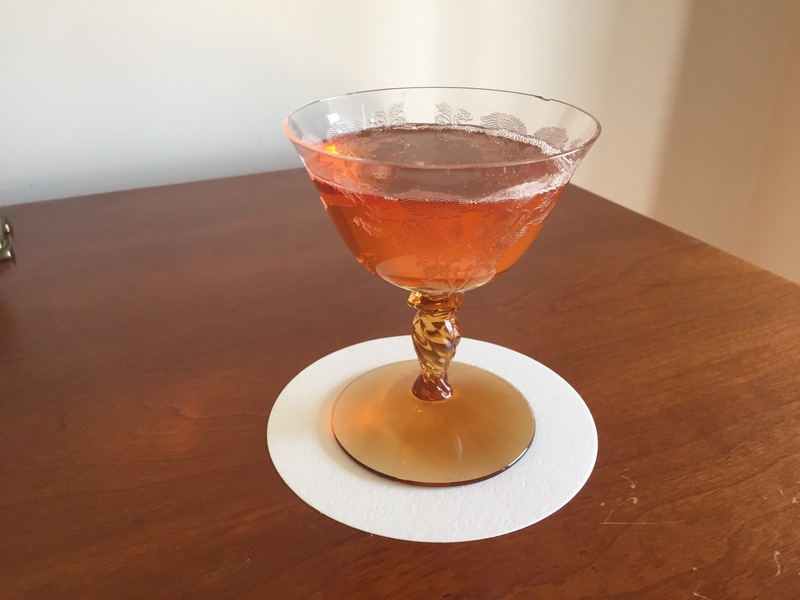 This dessert-y cocktail is from the shiny-new updated edition of The Waldorf Astoria Bar Book, by Frank Caiafa, who helms the Peacock Alley bar inside the famed hotel. (PS, this is a book I am truly enjoying and recommend, and not only because it includes a large number of equal-parts drinks). It’s an improved version of a Peacock Alley original called the Banshee. Add all ingredients to mixing glass. Add ice and shake well. Fine strain into chilled cocktail glass. Top with small chocolate curls or shavings for garnish. © Kara Newman and Tipple Sheet, 2014. Unauthorized use and/or duplication of this material without express and written permission from this blog’s author and/or owner is strictly prohibited. Excerpts and links may be used, provided that full and clear credit is given to Kara Newman and Tipple Sheet, with appropriate and specific direction to the original content.